Partnerships have been critical to SAA strategies since the inception in 1986. A significant part of SAA approach in the host countries is to team up with ministries of agriculture in order to have access to the critical mass of front line staff required at grass-root level. More than 70 percent of those involved in SAA field activities are civil servants. 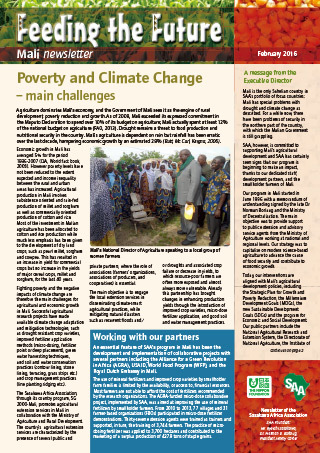 However, agricultural development cannot be adequately addressed by public sector alone. There are opportunities for Public-Private Partnership & Market Access to broaden the scope and impact of agricultural extension and to strengthen the capacity for collective action by commercially oriented farmer associations to access and profitably engage in commercial markets. We seek to convince private input suppliers (of seed, fertilizer, crop protection chemicals and equipment) to help finance smallholder agricultural extension services. Over time, as the private input supply chains become stronger, it is likely that they will provide extension services to farmers themselves, as has occurred in the industrialized countries. However, in the near- and intermediate-term, partnerships are needed, between public and private organizations, and with farmer-based organizations as well. In this partnership model, governments would conduct most of the research on basic food crops and would play a leading role in providing extension services to smallholder farmers. Private input suppliers would help to finance field demonstrations and training programs. Farmer-based organizations would help to finance some of the local (village, township) operating costs for extension, including training and possibly stipends for community-based facilitators (extension paraprofessionals). It is essential for commercializing smallholder farmers to work together as a recognized legalized entity (farmer organization – FO / Farmer based Organizations- FBOs) in order to strengthen their voice for articulating their needs, for lobbying and taking advantage of economies of scale. Accessing the market in more beneficial ways is a major reason for establishing farmer-based organizations. SG2000 country programs have become increasingly active in facilitating direct linkages between farmers’ groups and commercial buyers, and strengthening the ability of participating farmers to negotiate and fulfill beneficial contractual agreements. We are working with farmer-based organizations to orient members to become more sensitive to market signals (price) to determine their production decisions, adopting best practices to meet grain quality standards, source financial services to expand economic activities, and improve collective bargaining with both input suppliers and output buyers. Strengthening the willingness and ability of local agribusinesses, especially seed companies and input dealers, to offer competent extension support to smallholders is an important objective for Theme 3. Among SAA’s focus countries, Uganda has the largest number of private agro-dealers – more than 2,000 (an average of 29 per district). These businesses are often the first contact for farmers in need of advisory services, yet they usually lack adequate training in basic agronomic practices. Moreover, the inputs they sell are normally packaged for commercial-scale operations rather than smallholder farmers. A key constraint to improving crop productivity in SAA’s focus countries is weak seed production and supply systems. There is a mix of public and private seed producers in the four countries. 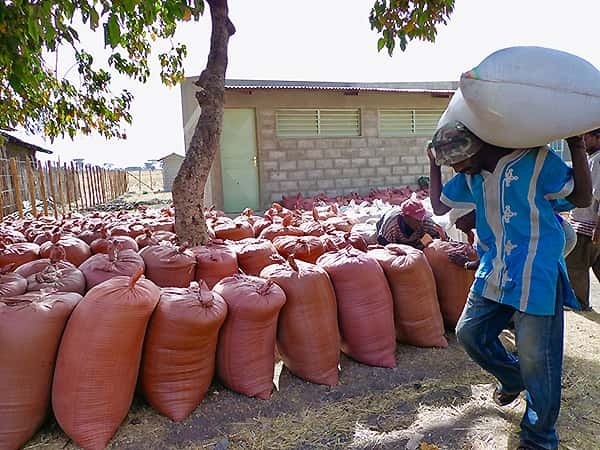 In general, the private sector tends to lean towards hybrid seed production, leaving open-pollinated varieties to FBOs and community-level producers. 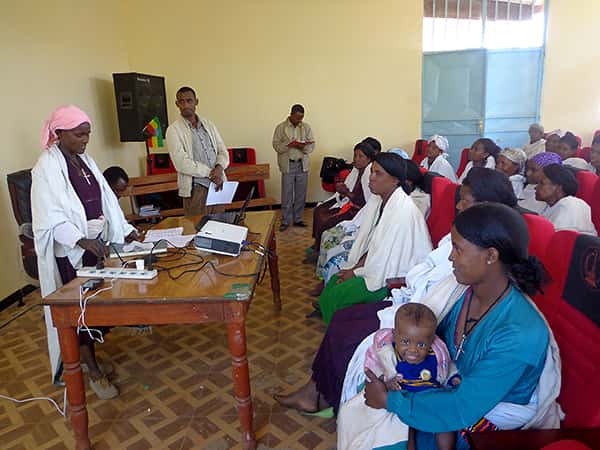 However, as experience in Ethiopia shows, given good training and supervision, FBOs can also handle hybrid production. Most governments in the focus SG2000 countries offer some loans to smallholder farmers. This is true in Ethiopia, Mali and Nigeria. Typically, the loans are for production input for 0.5 to 1 hectare. Some of the participating farmers in the Ministry of Agriculture/SG2000 crop demonstration programs are often among those selected to receive such loans. But the number of loan recipients is limited in such government programs. Banks shy away from making such loans, since farmers lack collateral and rainfed farming is inherently risky. 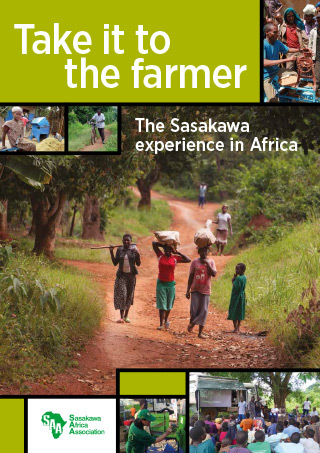 In general, most smallholder farmers are forced to self-finance the inputs they need. Creation of linkages between input agro-dealers, microfinance institutions and farmer based organizations are critical for a vibrant and sustainable rural economy. SAA creates a platform for all these stakeholders to come together and link their needs. These companies are those who want to extend their commodities such as improved seeds and/or fertilizers to rural communities, or food and beverage industries seeking quality bulk suppliers. As part of such an effort, the SAA works closely with farmer-based organizations (FBOs) to build their capacity to engage in business with those stakeholders. Training includes business planning, organizational management, marketing and quality assurance. All these activities promote businesses development in agriculture. 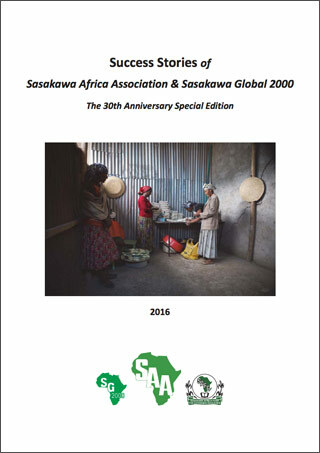 SAA is also involved in inventory credit (warrantage) schemes through the SG2000 Mali and Uganda programs and several projects (WFP P4P and AGRA). In these, grain is delivered to a bonded warehouse and farmers use the receipt as collateral to obtain partial credit from financial institutions.